In: Proceedings of the 10th International Conference on Agents and Artificial Intelligence. International Conference on Agents and Artificial Intelligence (ICAART-18) befindet sich 10th International Conference on Agents and Artificial Intelligence Funchal Portugal Scitepress 1/2018. In: Maria De Marsico, Gabriella Sanniti di Baja, Ana Fred. Pattern Recognition Applications and Methods. Kapitel 10 Lecture Notes in Computer Science (LNCS) ISBN 978-3-319-93646-8 Springer 2018. In: David W. Aha, Jean Lieber (Hrsg.). Case-Based Reasoning Research and Development. International Conference on Case-Based Reasoning (ICCBR-17) June 26-28 Trondheim Norway Seiten 62-76 Springer 2017. In: Maria De Marsico, Gabriella Sanniti di Baja, Ana Fred (Hrsg.). Proceedings of the 6th International Conference on Pattern Recognition Applications and Methods. International Conference on Pattern Recognition Applications and Methods (ICPRAM-2017) February 24-26 Porto Portugal Seiten 50-60 ISBN 978-989-758-222-6 Scitepress 2017. In: Joaquim Filipe, Ana L. N. Fred (Hrsg.). Proceedings of the 8th International Conference on Agents and Artificial Intelligence.. International Conference on Agents and Artificial Intelligence (ICAART-2016) February 24-26 Rome Italy SCITEPRESS 2016. In: Ashok Goel, Thomas Roth-Berghofer, Belen Diaz-Agudo (Hrsg.). Case-based Reasoning in Research and Development. International Conference on Case-Based Reasoning (ICCBR-16) 24th International Conference on Case Based Reasoning October 31-November 2 Atlanta Georgia United States Springer Berlin, Heidelberg 2016. 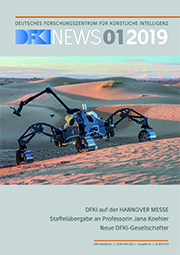 In: Emmanuel Müller, Ralf Krestel, Davide Mottin (Hrsg.). LWDA 2016 - Lernen, Wissen, Daten, Analysen - Workshop Proceedings. GI-Workshop-Tage "Lernen, Wissen, Daten, Analysen" (LWDA-2016) September 12-14 Potsdam Germany Seiten 291-298 Hasso-Plattner-Institut 2016. In: Miltos Petridis, Thomas Roth-Berghofer, Nirmalie Wiratunga (Hrsg.). Proceedings of the 20th UK Workshop on Case-Based Reasoning. UK Workshop on Case-Based Reasoning (UKCBR-2015) befindet sich SGAI International Conference on Artificial Intelligence December 15-17 Cambridge United Kingdom Seiten 4-14 School of Computing, Engineering and Mathematics, University of Brighton, UK 2015.